First of all let me say that this post is not, by any means, intended to make light of the Hurricane Isaac situation affecting our neighbors in the south. Seeing news coverage of residents climbing out of their upper level windows to escape their flooded homes is chilling. I watch, hopelessly, wishing there were something I could do to help, but knowing that nature must just take it’s course. However, constantly hearing talk of New Orleans created a bit of a craving for me. 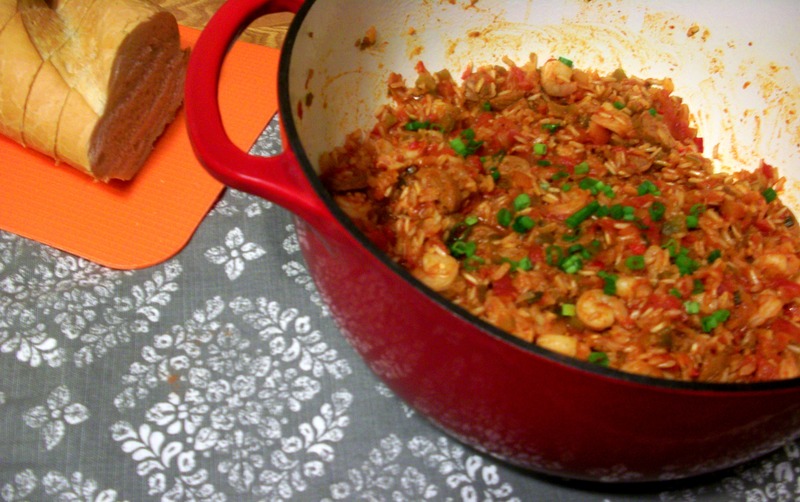 Spicy shrimp, dirty rice, Cajun sausage, it all has been sounding soooo good to me as of late. I got the chance to feed the craving last night & it was super delish. 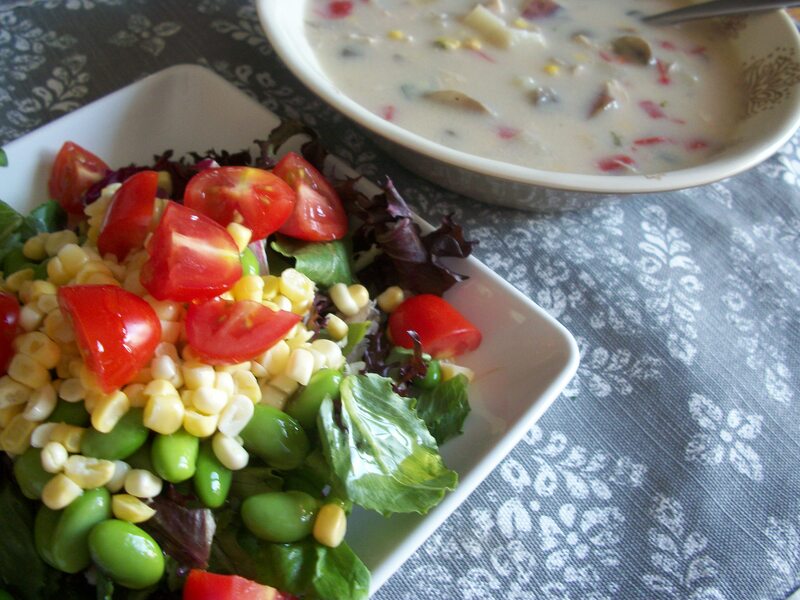 Of course I didn’t even think about making this until I finished the last of the Corn Chowder I made on Monday. Even better the next day! I spotted these casing-free (I hate casing!) 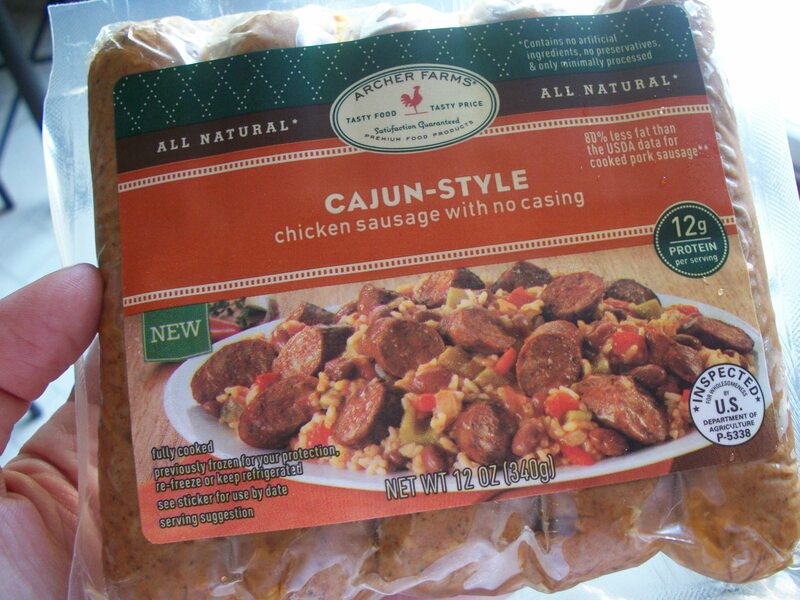 Cajun sausages at Target yesterday & thought they’d make a perfect addition to the recipe I had brewing. 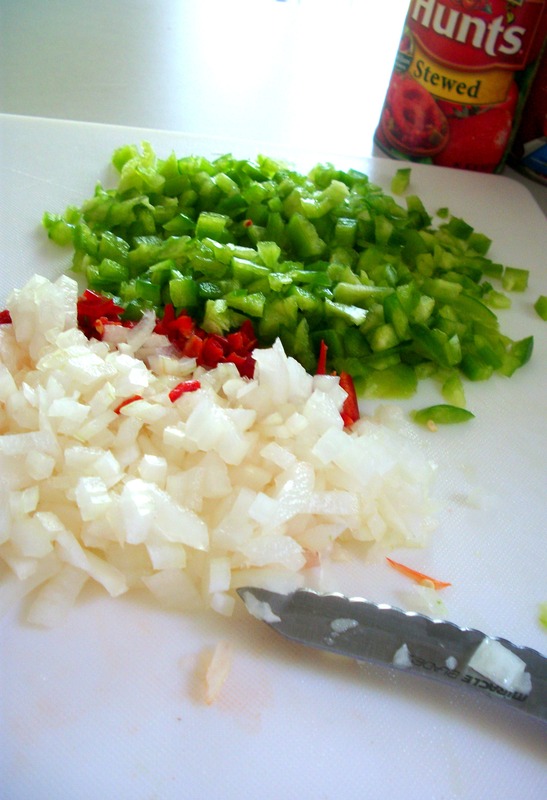 I also made use of the half onion, green pepper, & cans of stewed tomatoes I had on hand. Added a little red serrano pepper to make a Christmas Mexican flag colored mix. Way too soon to be mentioning the “C” word. 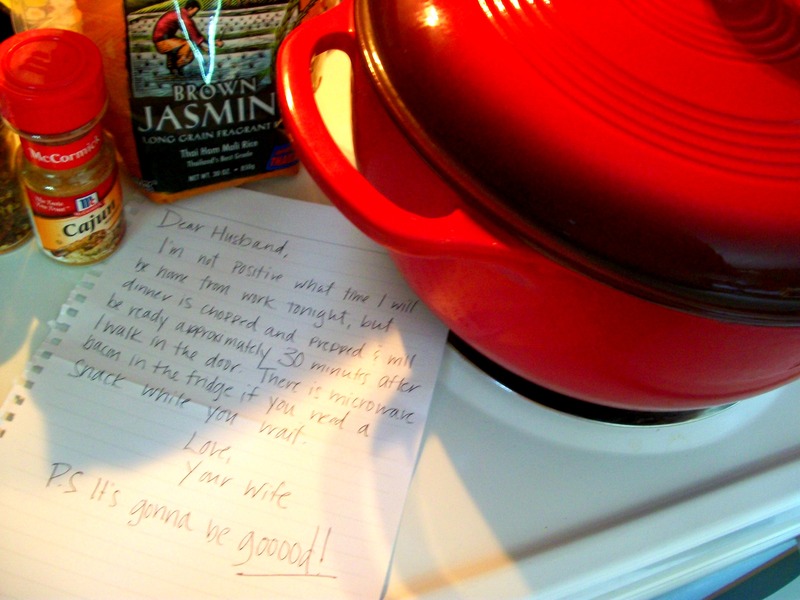 I chopped & prepped everything before heading into work & left the hubby this note. 1. Melt butter in large skillet or Dutch oven. Add rice & bacon, sautee 5 minutes, stirring constantly. 2. Add peppers, onion & garlic. Cook & stir for 2-3 minutes, or until vegetables are tender. 3. Add tomatoes, Cajun seasoning, pepper flakes, hot sauce & pepper. Cover & simmer for 25-30 minutes or until rice is tender. 4. Stir in sausage, shrimp & green onion a few minutes before serving. Since it is Thirsty Thursday, I should mention that I have a drink idea to go with this meal. You guessed it, a hurricane!!! Again, not making light here. New Orleans residents are proud to call this their signature drink. 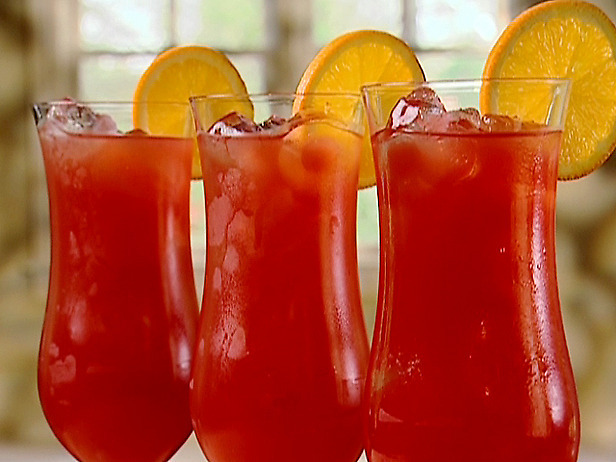 A hurricane mixes light rum, dark rum, and all sorts of juices to make a super sweet mixture that’s perfect to sip while roaming the streets of “N’awlins”. I didn’t have the ingredients on hand, so no Hurricane for me today, but here are links to a few recipes I found when I did a quick search. Confession time… This is the first time I’ve used it since we received it as a bridal shower gift last May. I love it too but never think to use it!